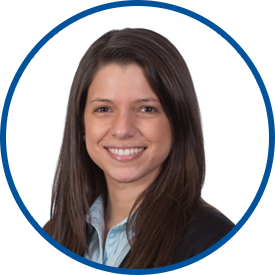 Christina Rosado is a licensed Doctor of Physical Therapy who specializes in treating patients recovering from post-surgical care, orthopedic and sports-related injuries. She also treats patients with balance and gait difficulties to reduce their risk of falling and increase independence. She graduated from New York University, where she earned a bachelor of arts in economics, followed by physical therapy school at New York Medical College, where she earned her doctorate in physical therapy. Dr. Rosado has extensive experience as a clinician and administrator. She currently serves as Director of Physical Therapy at WESTMED. She is also an APTA Credentialed Clinical Instructor and a Titleist Golf Certified Medical Professional. She is a dedicated clinician who brings the highest level of professionalism and care to her patients. She is a proponent of a hands-on approach to physical therapy and continually strives to be at the forefront of new developments in physical therapy care.